Earlier today Adrianna came to show me how pretty she looked only to realize she was wearing a Vaseline face mask. 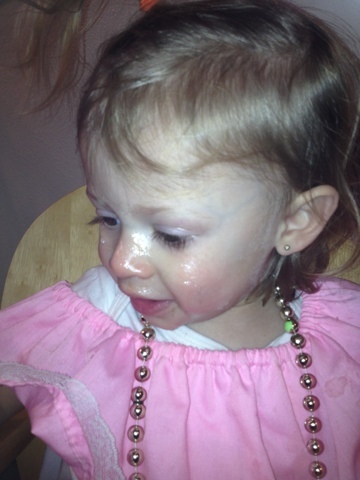 Keep in mind this is not the first time one of my daughters has wanted to have the glazed donut look. 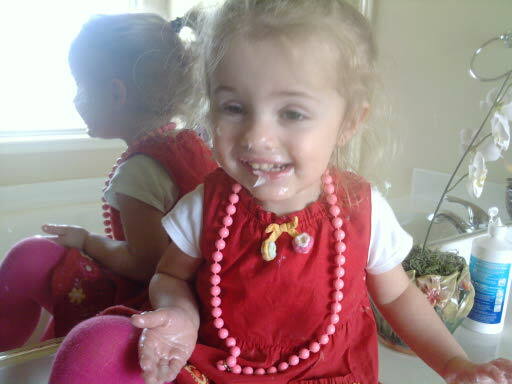 She seemed to have found the Vaseline container, again, then proceeded to scoop it out and apply it over her cute face. Her happy shiny face was so proud of the initiative she had taken to get ready for church how could I scold her? Simply by laughing and taking her picture of course. At least she will have a moist face and reflective cheeks at church today.